Yoshitha Rajapaksa, and four others including Rohan Weliwita, head of CSN and media secretary to Mahinda Rajapaksa and Nishantha Ranatunga were remanded till February 11, 2016 by the Kaduwela Magistrate this evening. The five were arrested this evening by the Financial Crimes Investigation Division (FCID) today after several hours of questioning with regard to alleged financial irregularities at the Carlton Sports Network (CSN) channel. Speaking to the media soon after the verdict was delivered, Rajapaksa said that Minister Rajitha Senaratne had recently declared that two Rajapaksas will be arrested before February 4th. “So, now we can see who is pulling the strings,” he said. Why stop at another one….. All and Sundry should be behind Bars ….MR ( Father Mother 2 sons) , GR ( entire Family ), BR ( Entire Family )…… forgot the 1000″s of other relatives who were sucking the country dry…. Even murder is not a serious crime to the eyyes of MR and GR. Best example was Baratha Murder… they did everything wihtin their capacity to cover the alleged man – PULLI GONA-Duminda Silva. They can paint them as – it was just they thought those were against them…. in that way even killing is allowed Rajapkshe blood. So long stupidity folks would stay reciting gayanas (recitals) in favours of them, they would abuse the folks to the core. DA Rajapakshe may be a good leader, but their siblings except Chamal all others are rascals. They have proved it 10000000000000000000000000 times. At least someone is coming to the rescue of the innocent third world people whose leaders live pitilessly. The title says it all: Another Rajapaksa To Be Arrested Soon…….the active word here is: soon…….. When he is actually arrested I will apologise, if he is ever charged I promise never to comment in this media ever again. Samul Jayaweera try fool masses of people and by their own democracy norms once and for all that fully supporting by MS… Ranil .www of UNP of democracy and CBK old type of family oriented democracy, inevitably proves to lackey of US & Indian big bourgeoisie. The UNP-Ranil …W democracy although since 2015 January 9th a betrayal historical lesson, we have comparison with post-colonial-democracy always remain and Depend capitalism is bound to remain, restricted, truncated, false and hypocritical a paradise for UNP rules of Ranil W.. and gang and a snare and deception for the exploited for democracy. It is this truth which forms a most essential part of UNP political practices that Ranil http://www..the “democratic” has failed to understand. On this the fundamental issue of democracy of “rule of law and good governance” by UNP Ranil.. offer delights for the US and Indian RAW instead of a people criticism of those conditions ,which make every US democracy, a democracy for the US and Indian monopolies. The question of UNP-Ranil W… has so shamelessly muddled is really question ,well stand for US and Indian vital interest. If we are mock at common sense and history ,it is obvious that we cannot speak of pure democracy as long as different power nations of US, UK, Norway and Indian exist in our country. We can only speak of sovereignty democracy. UNP democracy is mendacious phrase of neo-liberal-democracy , who want to fool majority people of Sri Lankan. Indeed history our democracy of that UNP knows which takes the place of US, Indian and Norway and pro-western oriented democracy, which the place of UNP-Junta type of rule governance of Democracy. In reality ,however the Sri lanakn state is nothing but a machine for oppression people of our nations by foreign powers and indeed our Democratic Republic no less than Neo-colonial country. The UNP trick is also equivalent to subservience to US and Indian bourgeoisie. The UNP democracy is willing to talk about what will happen, when it is not necessary to govern people by their own but by the hands of US and Indian big powers. I wish to say UNP-oriented political democracy led by Ranil W…to show what amount of deceit ,violence, corruption mendacity, hypocrisy and oppression, Sri Lankan majority people is hidden beneath the civilized, polished and perfumed exterior of modern Parliamentary democracy. You just need to listen to your coscience (if you are sane only) Who is right here ? Law and order should be given the highest priority as it is the case in Germany, Switzerland or any other civlized world – no politicians would go above the law in those country ( at least not to the manner as depicated in the country under Maharaja). It is human nature not to have imposed laws to 100%. But if you lived on the west, only, u could know… law and order is equal to almost everyone. Future generation s should learn this adequately, if we expect them to respect the laws. THat can only be passed through examples. That is what Mafia king Regime lacked. This was contrast by the end of 2014. Whoever you are if you have a brain the size similar to a needle head would have to see it right let alone today, we should respect law and order above everything, then only we can introduce better systems to the country. 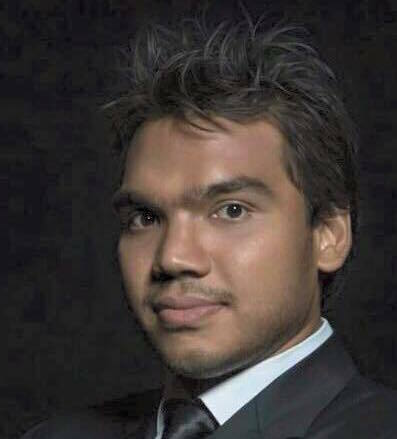 Arrest Namal soon and let him count bars. How did he pass the Law exam. What has happened to all the luxury vehicles brought to Srilanka. Perhaps those luxury vehicles were flown to another country an island? If Mr and his people have done nothing wrong then nothing to fear.